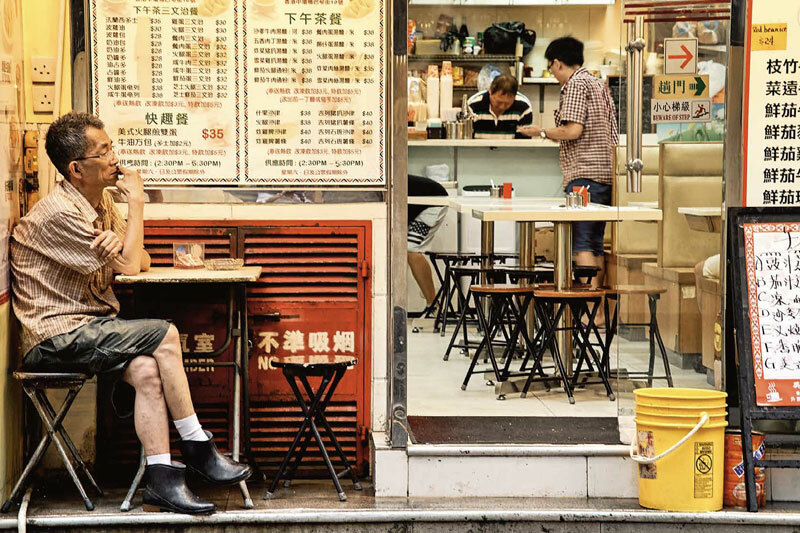 A photographer lands in Hong Kong with expectations to capture the essence of multidimensional Hong Kong. Stuck in what he called a complicated opportunity of either being caught in the rain or bestowed teasing bursts of sunshine, his reward was the island’s fierce beauty. What can you expect if you arrive in Hong Kong during the monsoon season and a typhoon greets you? Sure, it’s common enough during the season but what does the wrath of Category 8 storm advisory mean? 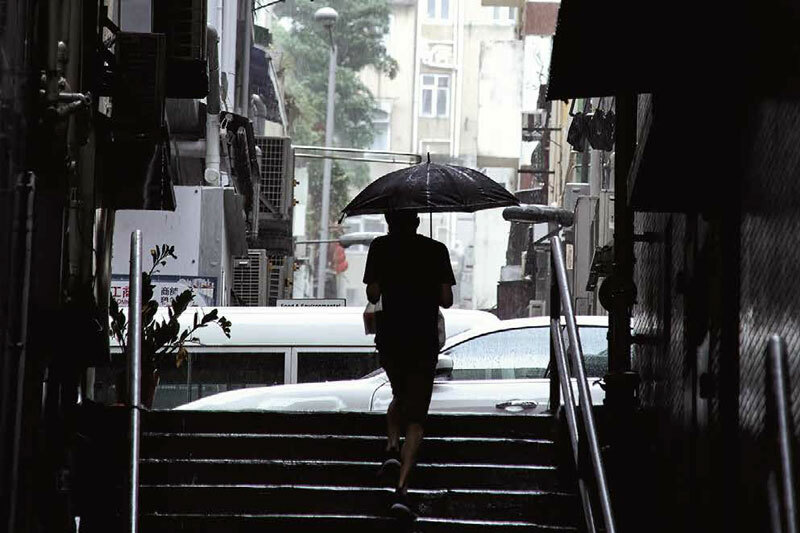 Perplexed with the rain’s shifting moods, I start and stop, the changing weather plays with my emotions. 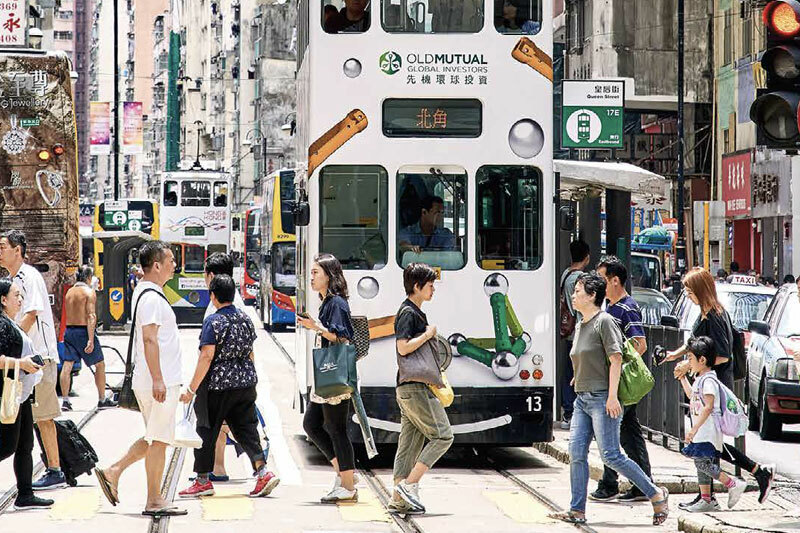 I woke up every morning for days on end in Hong Kong with this conundrum – what can I expect? I don’t want to go out, there’s a storm warning posted everywhere. I try to cheer up. If you want something different, you’ve got to fight for it. I’m walking in the rain, it’s crazy windy. I’m giving myself a pep talk. Be patient, I repeat to myself, and wait for the perfect light. Use my instincts, find the hidden message in this situation. 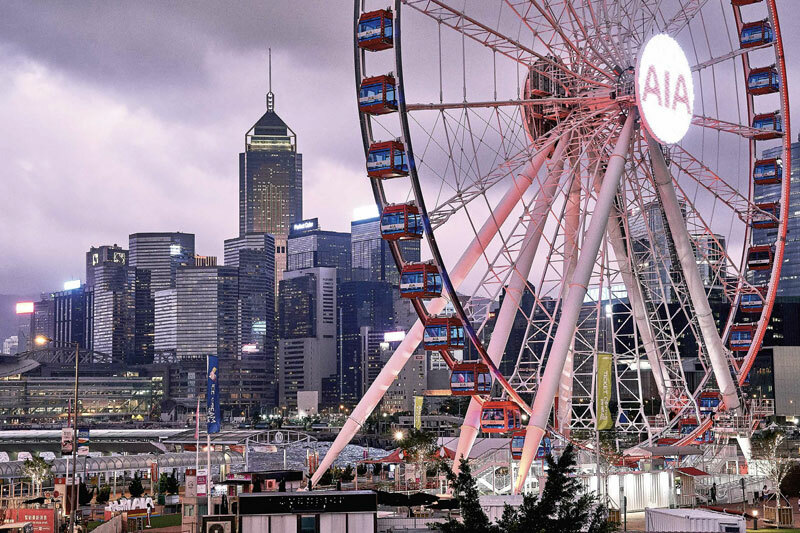 The Hong Kong Observation Wheel offers rides day and night at the iconic Harbourfront. 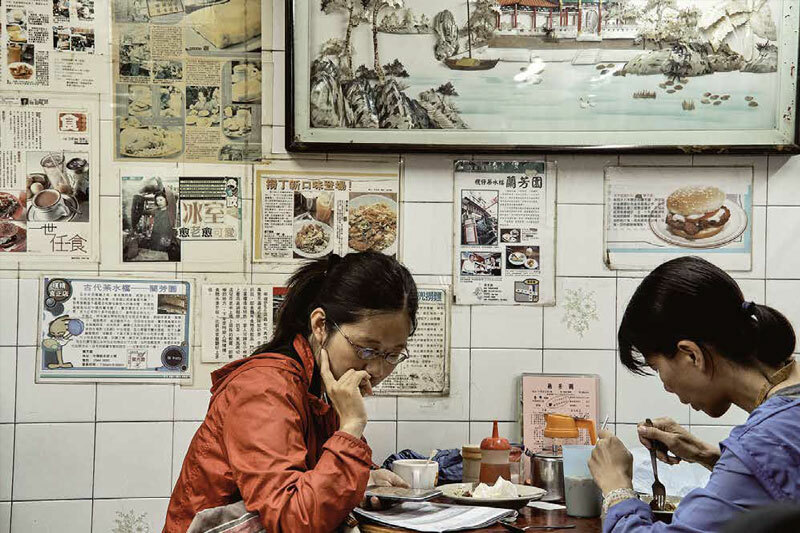 Locals still flock to traditional eateries for Cantonese favourites. 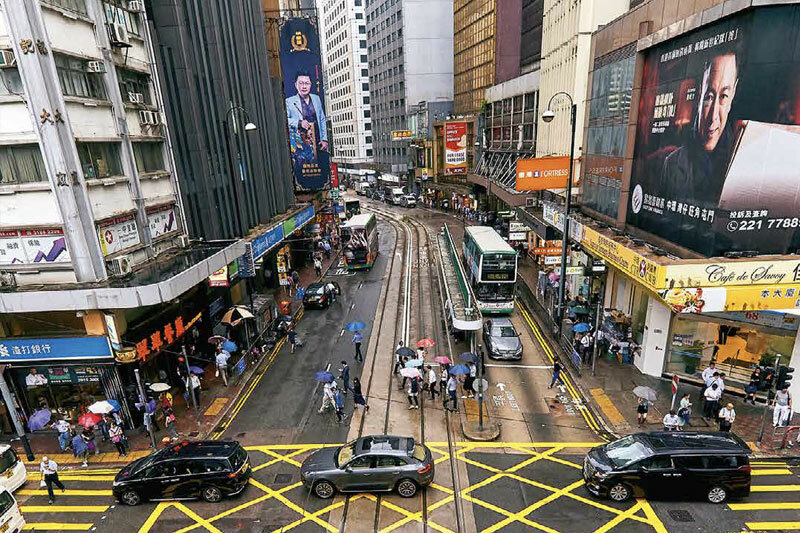 Des Voeux Road West, also known as the “Dried Seafood Street”, where families buy ingredients for dinner banquets. Street scenes intensify in colour after the rain. 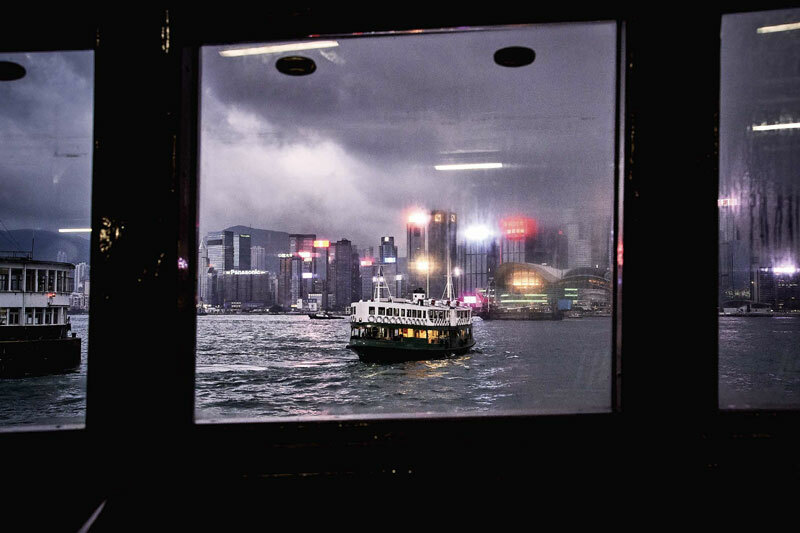 One should try the ferry crossing between Kowloon and Hong Kong Islands for the view. 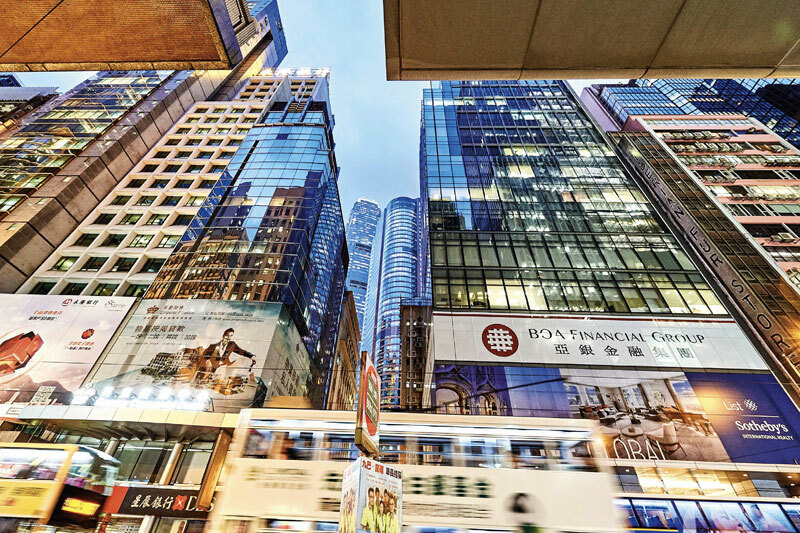 Still non-stop at night in the Central district of Hong Kong. 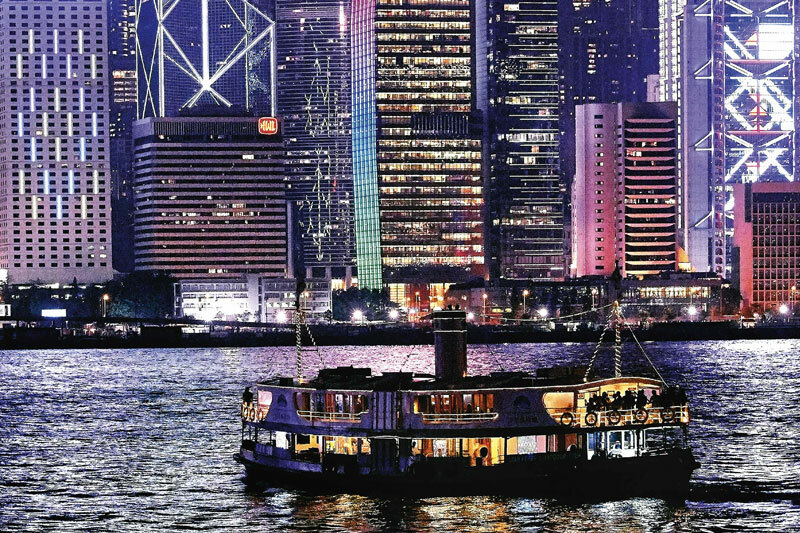 Culinary destinations in Hong Kong include dining spots popular among locals and tourists.